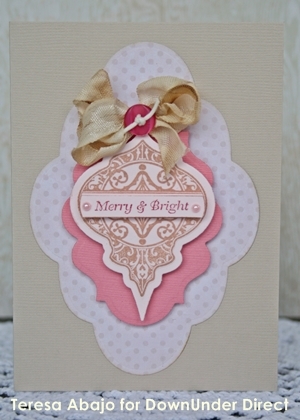 Here is another pretty card using the Holiday Style paper pack. Here is a tutorial for a really quick and easy treat box. 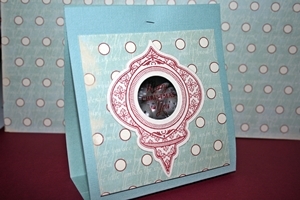 Using the Crafters Companion as a guide, score down the centre of the piece of cardstock. Find the centre at the top of the piece of cardstock and mark with a pencil. Repeat on the other end. Score each corner from the pencil mark to the scored centre line. Position your die on the piece of paper to cut out the window. Secure with tape and run through the die cutting machine. 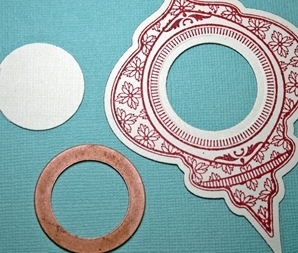 Attach a piece of acetate to the inside over the cutout. Fold the sides in and punch holes for the ribbon. To finish, fill the box with lollies secure with ribbon and add a gift tag if desired. Here is a lovely card using a not so traditional colour combination of black, red and white. "The Heirloom dies are a beautiful shape - reminiscent of vintage Christmas baubles. Stamp, die cut, embellish - it's so easy to create a gorgeous card in just a few minutes." Using just the standard circles Spellbinder dies, Sheree has created some cute little trees that are sure to add that special something to any holiday table. Here is a gift box I made using a JustRite Stamp box. If you've been a fan of JustRite Stamps for awhile, you probably have a few of these boxes lying around. When covering the box with paper you have to keep in mind that the lid is already a tight fit. I covered the lid only and painted the base, sanding first before painting. To add depth to the box and to stop the lid from covering the base completely, I inserted some foam tape inside the lid to make a lip and keep the lid sitting a little higher. "I took these pictures on Christmas night. The kids played around with Sparklers, and I took photos of them with a long exposure. You can see the light path of the sparklers. There's some hidden journaling under the main photo with a ribbon pull on it." Today's project uses some pretty papers from the Holiday Style paper pack to create a lovely non traditional coloured Christmas card. Red and Green are the perfect colours for Christmas and the new Layered Poinsettia flower fits in this theme wonderfully. 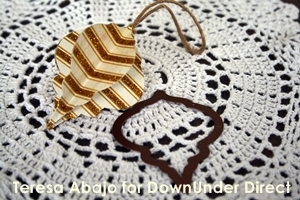 Today we have a couple of different types of ornaments to share with you. "I made a couple of different ornaments for Christmas.The first one has a photo of my middle child when she was a baby (this is agreat idea for Baby's First Christmas! You could add the year instead of thesentiment I have used here)." 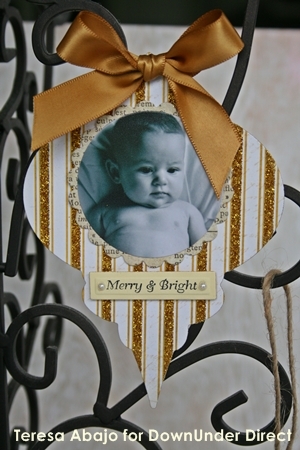 "The second ornament can be made with any symmetrical shape. You simply fold each die cut in half, and glue them together back to back. Add some twine so it can hang from a tree - too easy!" Today we have a fun layout showcasing the much loved Christmas pudding. Searching through my stash of craft materials I found some craft wood napkin rings. I've covered them by wrapping some ribbon around and securing with glue. I assembled four poinsettias and attached these to the rings for a quick holiday table accessory. Here is a card I made using the new Layered Poinsettia Die. If the leaf in the set is too large for the project you are doing, you can cut a flower into individual pieces and use the petals for leaves as I have done here. Cut out four large snowflake shapes, fold in half, unfold, fold again in half and unfold, then fold once on the diagonal. Place on a scrap piece of paper and spray with adhesive and sprinkle with glitter allow to dry. Fold inwards on the diagonal fold so it forms a triangular shape, adhere each to a circle of cardstock, lining them up so the tips all meet in the middle. Adhere a plastic gem to the centre. Repeat these steps and glue both together to form a 360 shape for your Christmas tree. Try different colours and glitters or even gold and metallic paints. You could cut the shapes from foil board or glitter papers and skip the glitter steps. This is a wonderful Christmas project to do. If you back the patterned paper with light weight chip board, it will add to the sturdiness of the banner and should last for years. 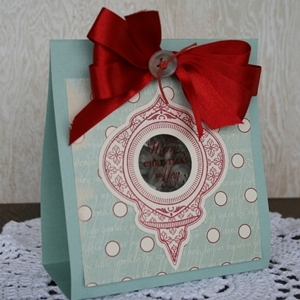 You can use all your scrap patterned and plain cardstock, just match the colours. Nothing says Christmas more than a star and a snowflake, it reminds us of all the lovely cozy feelings we have in winter, even if our winter is not at Christmas time it is still a time for family and coziness. Today I have a card made using Ironwork Motifs. The large element works very well as a snowflake. 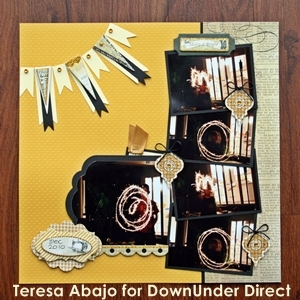 Here is a lovely idea for a framed layout. I love how the ornaments hang from the photo. "One of my favourite things to do is make frames with my Nestabilities. I use two consecutive dies to cut a thin frame. I have stitched it to my layout here. Sometimes the die that's the next size up is just too big and would leave a border that's too wide. 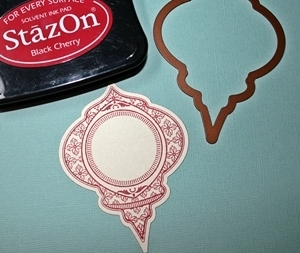 When that happens, I glue my shape to the next colour cardstock and carefully trim around it with scissors." 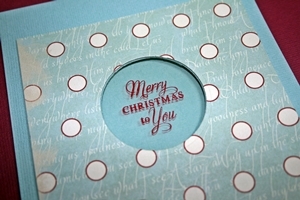 This card uses a clever fold with A4 sized cardstock, decorated with the new Pointsettia die. Lots of space to hold a gift card or tag too. To create a lace border that goes the entire width of the page, I left one end of the spellbinder hanging out over the edge of the plate when cutting. After the first cut I lined up the border and put it back through the Grand Calibur leaving the opposite end hanging out. This is a great technique for extending the length of the the Spellbinder border dies. Here is a lovely page in blue and white. "This page uses just two colours and shows how versatile spellbinders can be in creating interesting shapes on a page. I have cut the navy on the diagonal into triangles which then fit through the Grand Calibar and allowed me to cut out random snowflakes." Stacking different shaped die cuts is a great way to add interest. Here Teresa has stacked two different Labels die cuts under the ornament, using foam mounting tape in between to build a bit of height. Today we have a lovely layout using some papers from the New Holiday Style paper pack. Welcome to another Tutorial Tuesday. Today we have a fantastic little treat bag to share with you. "I've made a little treat bag, which can be filled with lollies, home-bakedgoods or craft supplies. I've put buttons in this one, as I plan to give itto a crafty friend." 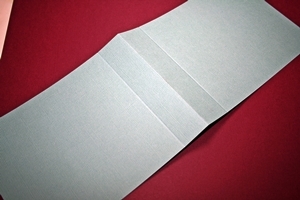 Fold a 4 1/2 x 12 inch piece of cardstock in half, then score lines 1 inchabove and 1 inch below the half way mark. 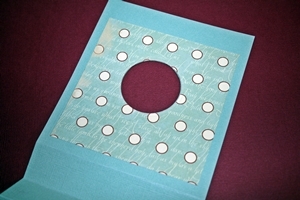 Adhere a 4 x 4 inch piece of patterned paper to the front, and die cut a circle through the front of the bag. 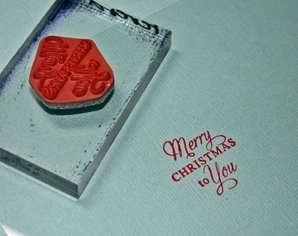 Stamp a sentiment that will fit into the circle onto acetate with StazOn ink. Trim down and glue the acetate in place so that the sentiment appears in the window. Stamp and die cut a heirloom ornament to go on the front of the bag. Die cut the circle from the middle of the heirloom ornament. Glue the ornament in place on the front of the bag. Fill a plastic bag withbuttons (or lollies etc), and place it inside the bag. Staple the bag closed around the buttons. Tie a bow in place at the top, and embellish with a button.